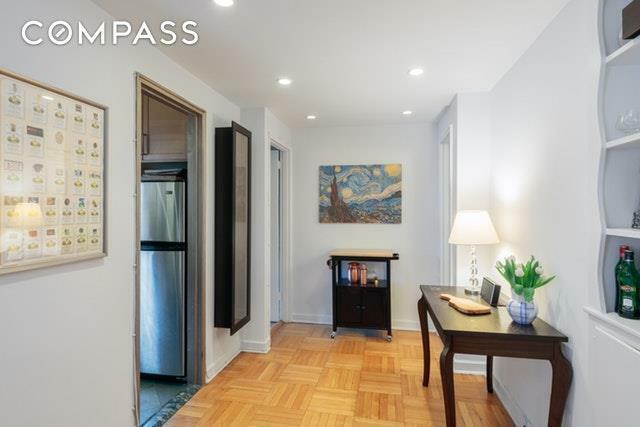 Beautiful over-sized flexible 1-bedroom apartment in this North Park Slope well run full service co-op with a newly renovated lobby! When entering this beautiful apartment you are greeted by a spacious foyer area leading you to a spacious living room and separate dining alcove with a charming built-in cabinet and inset bookshelf. Hardwood floors throughout and an over-sized window overlooking roof top gardens and trees compliment this beautiful space. Other features include an updated windowed kitchen, ample closet space, newly updated bath with a linen closet, and master corner bedroom which is a truly serene. Located in the heart of North Park Slope, named one of the best neighborhoods in America, within the original Park Slope Historic District. 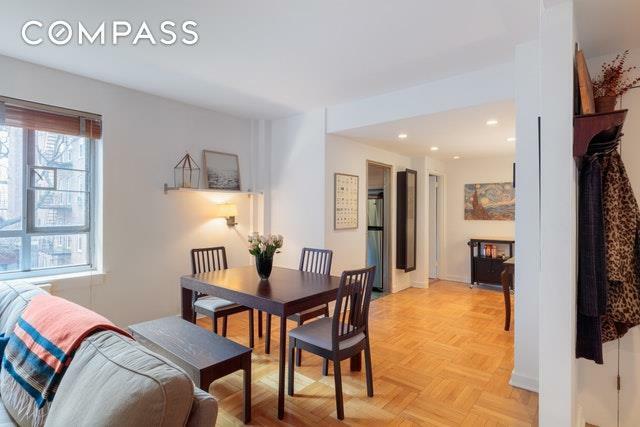 Conveniently located just a block from Prospect Park and Grand Army Plaza, and near the Brooklyn Museum, Brooklyn Botanic Garden, the Brooklyn Public Library, and the 2/3/B/Q trains. Tons of shopping and restaurants (e.g. al di la, Talde, Fonda, Olmstead, Hugo & Sons, Blueprint, Blue Ribbon Brooklyn, the Park Slope Food Co-op, the original Union Market, and the Grand Army Plaza Greenmarket) await nearby on Seventh Avenue, Fifth Avenue, Flatbush Ave, and Vanderbilt Ave. Barclays Center and the Brooklyn Academy of Music are just minutes away. The doorman is on site daily from early morning until 11pm, live-in super and porter too. 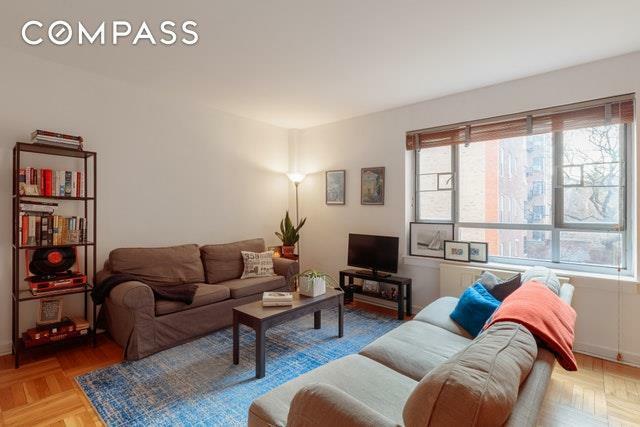 Pied-a-terre & flexible subletting after 2 years of ownership permitted. 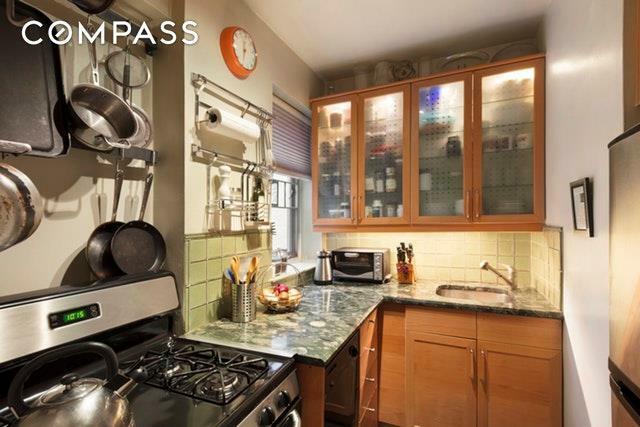 Listing courtesy of Teka Barron Klopfenstein of Compass.